MADRID -- The Basque separatist group ETA said it has dismantled its organizational structure after a six-decade independence campaign that killed hundreds in Spain, taking the final step in disbanding after disarming last year and bringing an end to one of Europe's bloodiest nationalist conflicts in recent times. The Spanish government vowed Wednesday not to abandon its investigation of crimes from the group's violent past, saying security forces would "continue to pursue the terrorists, wherever they may be." ETA, whose initials stand for "Euskadi ta Askatasuna" or "Basque Homeland and Freedom" in the Basque language, killed more than 850 people during its violent campaign to create an independent state in northern Spain and southern France, most of them during the tumultuous 1980s when Spain was transitioning from dictatorship to democracy. In a letter sent to Basque regional institutions and obtained by The Associated Press, ETA said it had "completely dissolved all its structures," and acknowledged its responsibility in failing to solve the Basque "political conflict." With its support waning and stepped-up police operations on both sides of the Pyrenees undermining its ability to wage an armed struggle, ETA had already declared a "definitive end" in 2011 to its armed campaign. But it took six more years for the group to give up most of its arsenal and another year for it to announce that its remaining members -- numbering fewer than 50, according to Spanish officials, most of them living overseas -- would be disbanding this week. Responding to the announcement, Spanish Interior Minister Juan Ignacio Zoido stuck with the government's hard line and vowed to keep investigating unresolved crimes attributed to ETA. In the letter, dated April 16 and published first by the eldiario.es news website, ETA noted its dissolution "doesn't overcome the conflict that the Basque Country maintains with Spain and with France." "The Basque Country is now before a new opportunity to finally close the conflict and build a collective future," the organization said. "Let's not repeat the errors, let's not allow for problems to rot." It wasn't immediately clear why the letter took more than two weeks to become public. A spokesman for the Basque regional government told the AP that it received ETA's letter "a few days earlier." The official, who wasn't authorized to be named in media reports, declined to elaborate. Founded in 1958 during Gen. Francisco Franco's regime, the group grabbed global headlines when it killed the dictator's anointed successor, Prime Minister Luis Carrero Blanco, in 1973. It remained active long after Franco's death in 1975. In what became known as Spain's "dirty war" on terror, at least 28 separatists were killed by death squads set up by members of Spain's security forces to perform extrajudicial killings of ETA militants. A few dozen more were killed by independent extreme-right paramilitary groups. 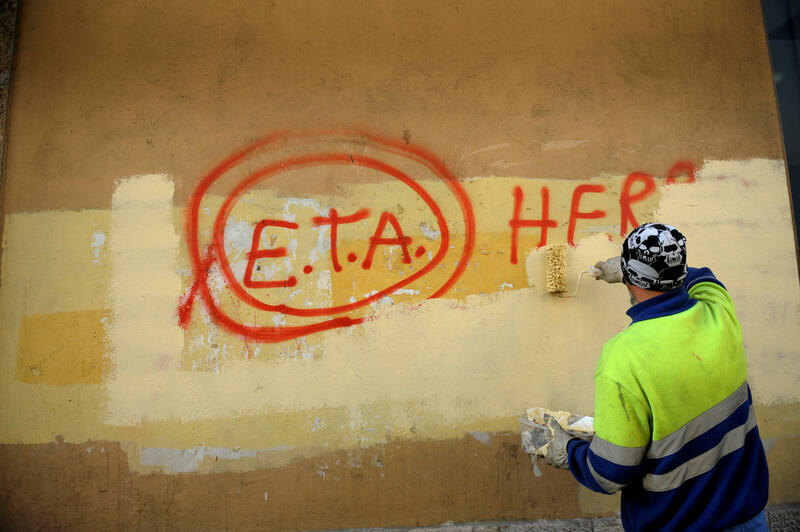 Civil society groups that have overseen ETA's staggered finale scheduled an event in the southern French town of Cambo-les-Bains on Friday to mark the organization's end. At a news conference Wednesday in the southern Spanish city of San Sebastian, Covite President Consuelo Ordonez criticized a statement last week in which ETA sought forgiveness from victims "who didn't have a direct role in the conflict." Ordonez's brother Gregorio, a leading regional figure in the conservative Popular Party, was killed by ETA in 1995. "This is not the end of ETA that we wanted and, above all, is not the end of ETA we deserved," she said.